One of the stars of the Hirshhorn’s new exhibition, Days of Endless Time, is the American debut of German artist Clemens von Wedemeyer’s Afterimage (2013). 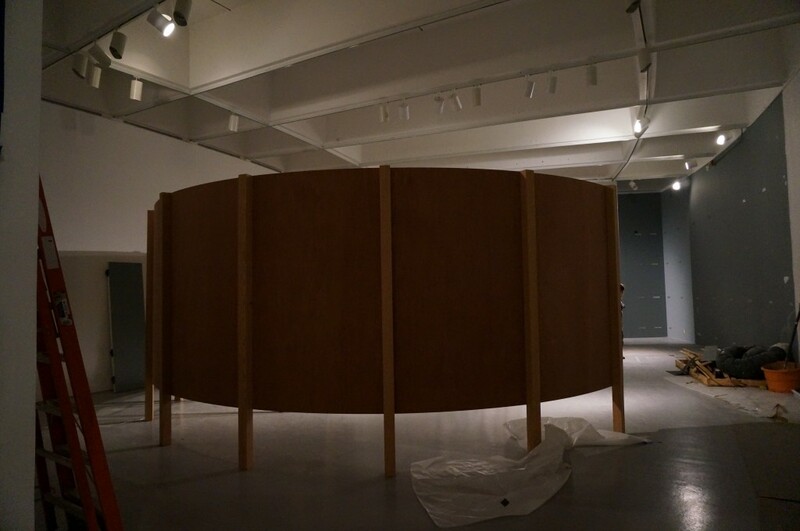 OEC fabricators Adam Bradshaw and Enrique Dominguez, along with intern Colby Styskal and volunteers Juan Lucas and Neal Falanga, built the semicircular screen used to show this work from nine separate curved panels. OEC used CAD/CAM programs to lay out and cut the plywood ribs. The seams required three blind panel connections. The connections were skinned with bending ply on the front and back, and the screen was raised off the floor with 4×4 posts. Luan plywood was used on the back of the screen to create a “raw shipping crate” appearance. The plywood was coated with a clear fire retardant finish. Unlike the raw look of the back, the front surface was laminated in phenolic paper. This covered any imperfections and created a smooth screen for the projection. 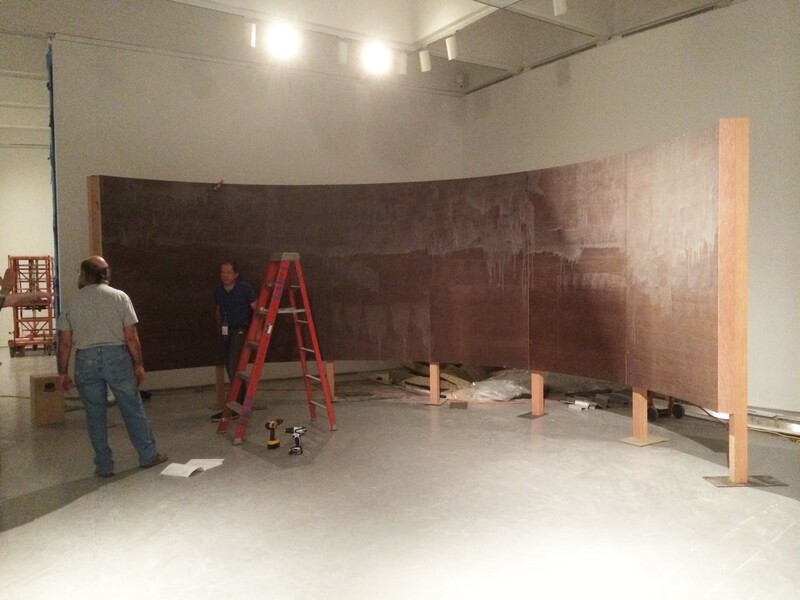 After the screen was anchored to the floor, the seams were caulked and the face was painted with white projection screen paint. The back of the screen resembles a shipping crate. Afterimage and the other 13 artworks featured in Days of Endless Time will be on display through April 6, 2015.